When the sample pack of SuckleBuster's pepper sauces arrived at my door, I made a prediction. I said to Katie, "These are going to be good. Everything I've tried from SuckleBusters has been quality." It turns out I was right on the money. 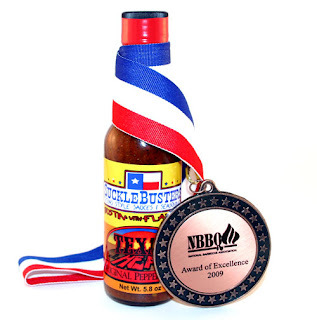 In addition to competition level BBQ sauces and rubs, SuckleBusters also produces an all natural line of Texas Heat pepper sauces. The Texas Heat line features four award winning varieties, but I decided to start with the Original. 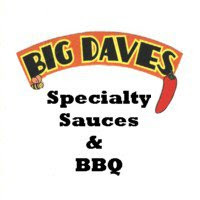 Texas Heat sauces are thicker than traditional vinegar based (Louisiana style) hot sauces. They pour slowly, just a couple drops at a time. While most hot sauces start with vinegar, peppers are the number one ingredient in SuckleBuster's Original sauce. This accounts for the thicker texture and also provides a much richer flavor. The Original sauce is brown and speckled with pepper seeds and spices. . The flavor of SuckleBuster's Original Texas Heat Sauce really sets it apart from the other sauces that I've used. While I really enjoy a quality Louisiana pepper sauce, Texas Heat has really changed my expectations for pepper sauces. I typically put a dash of hot sauce on just about every savory dish for the added spice, but Texas Heat Original is the first sauce that I've actually enjoyed right out of the bottle. The blend of peppers and spices make the flavor very rich and complex. It's simply a more flavorful product than the sauces I've always used. Texas Heat Original has plenty of peppery kick, but the heat isn't overwhelming. SuckleBusters categorizes the sauce as "medium" heat. It's just enough spice to add a jolt to any type of savory dish. I love it on tacos and nachos. It's also great in casseroles or even on pizza, eggs and burgers. Learn more about the entire SuckleBusters product line by clicking here. See how Texas Heat Original rates on our "Product Reviews" page. 0 Response to "SuckleBusters Texas Heat Original"